Apparently, it's not about targeting millennials. Though I had never been to Platform, a burgeoning, relatively new outdoor food/retail/cultural hub in Los Angeles&apos;s Culver City neighborhood, I knew exactly what to look for in order to find Pop & Suki&apos;s brand-new pop up this past Saturday afternoon — or, at least, what color to look for: "Millennial," or "Tumblr," pink. 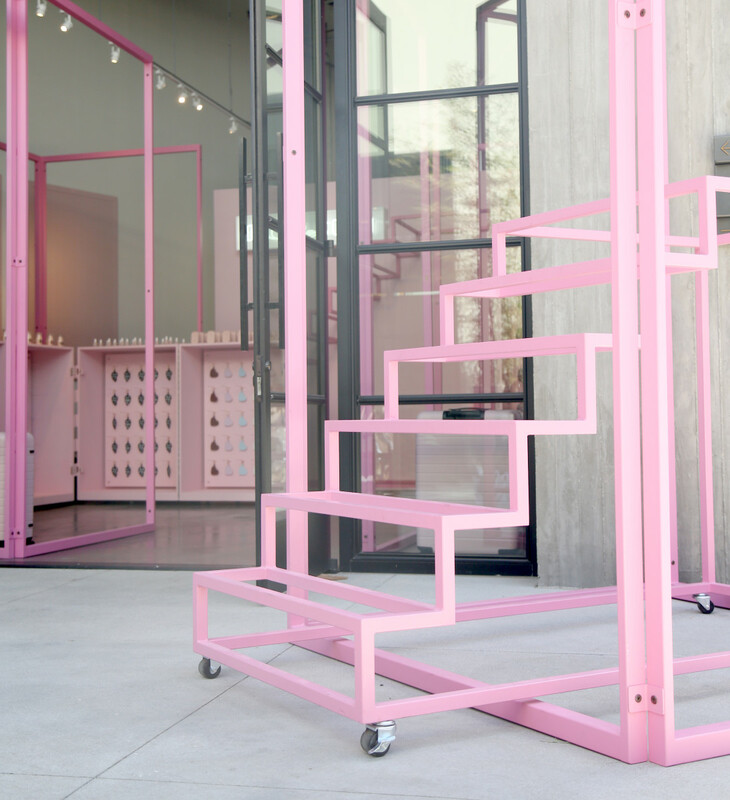 Indeed, the first (temporary) physical retail space for the customizable, direct-to-consumer accessories brand founded by actress Suki Waterhouse and her friend Poppy Jamie last September was basically the physical embodiment of this seemingly imperishable hue. From the facade and interior walls to the cocktails and Sugarfina candy being served, to the customized cans of water and Waterhouse&apos;s own hair, every. thing. was. pink. It was a small but dreamy wonderland filled with several of Culver City&apos;s young creative professionals, to whom Platform — also home to a Blue Bottle, a Sweetgreen, Bird&apos;s first L.A. outpost and, soon, a Reformation, is catering. "The surrounding places are really great," explained Waterhouse. "It&apos;s a really energetic area; today the amount of people just wandering around on a Saturday who&apos;ve come in..." They consider the brand to be based out of both London and L.A. "It&apos;s the aesthetic of Platform as well," added Jamie, "this kind of industrial-chic, minimal, cool... it kind of fits in with the whole Pop & Suki vibe." Another important part of the Pop & Suki vibe, as we&apos;ve mentioned, is the color pink. 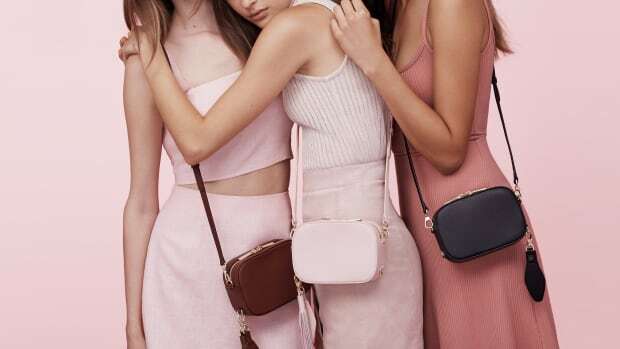 When it launched, we went so far as to call it the "most Millennial accessories line ever;" but the founders claim the color is actually not about targeting a specific demographic. "Suki and I talk about this a lot," explained Jamie. "We&apos;re such pink fans, but really it&apos;s so incredible, this women movement happening at the moment, and I think pink is really having a moment because as women we&apos;re owning our color, in this really empowering way." "Pink&apos;s also had an interesting history; it used to be the color for boys, so it has a lot of connotations," added Waterhouse, who had her hair dyed for a movie she&apos;s filming, not for her brand. "It&apos;s something that we gravitate to, it feels happy." And no, it&apos;s not about targeting millennials. "We actually had people come in their 40s today who are really into our bags, so not really," she responded when I asked. "I think having a minimal element to the brand, it&apos;s really simple, I think it&apos;s then able to resonate with a bunch of people." Both Waterhouse and Jamie said people&apos;s response to the line far surpassed their expectations, and though Waterhouse may be a bona fide celebrity herself, she&apos;s still thrilled to see others carry the bags. "We&apos;ve had some real pinch-me moments, like when Gaga wore the bag or Jessica Alba wears it, Emily Ratajkowski, just things you never expect will happen," she said. The brand is also fresh off its first big collaboration with direct-to-consumer luggage brand Away, and Jamie says more collabs are on the horizon, as well as updated versions of their best-selling camera bags and new styles for this fall. 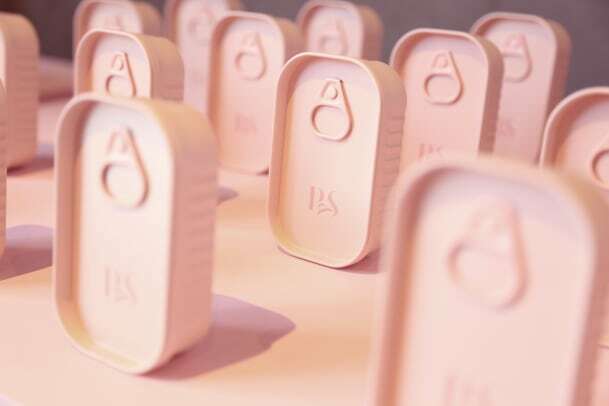 The pop-up, which also sells exclusive branded (pink) merch like nail polish, sardine tin candles, milkshake candles, BFF pins, logo pins and iPhone 7 cases, will be open until April 13 at Platform LA. See inside the very pink space in the gallery below. And Gisele gets a high-low Australian 'Vogue' cover. The model makes her big screen debut this fall.